Waffles With Writers: Susanna Leonard Hill – Hey, Look! A Writer Fellow! 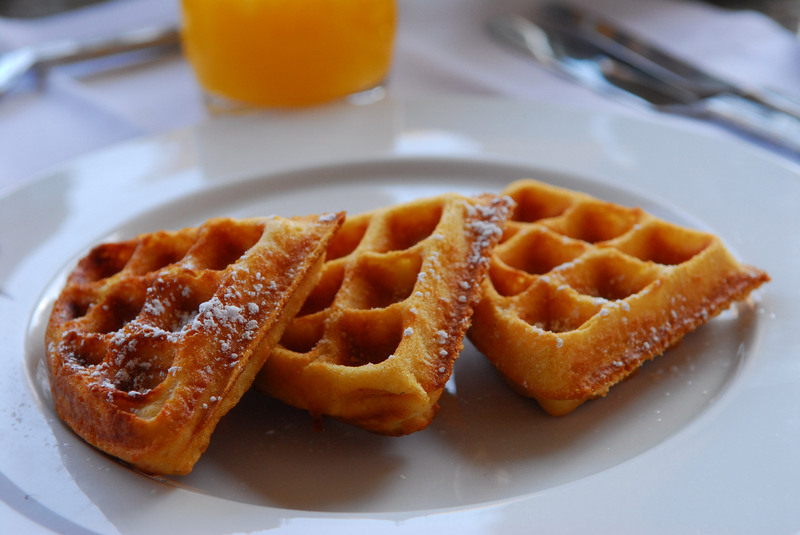 Welcome to the third installment of my interview show, Waffles with Writers! Every month I chat with a working writer over a nice, waffle-centric meal. Today’s brunch companion is Susanna Leonard Hill, the award winning author of nearly a dozen books for children, including Punxsutawney Phyllis (A Book List Children’s Pick and Amelia Bloomer Project choice), No Sword Fighting In The House (a Junior Library Guild selection), Can’t Sleep Without Sheep (a Children’s Book of the Month), and Not Yet, Rose (a Gold Mom’s Choice Award Winner). Her books have been translated into French, Dutch, German, and Japanese, with one hopefully forthcoming in Korean. Susanna is also a blogger extraordinare, who generously uses her internet bully pulpit to answer questions about the writing process, improve manuscript pitches, and promote perfect picture books. Phyllis, Susanna, and adorable moppets. Welcome, Susanna! The waffles just came out of the iron. What toppings would you like? Thanks, Mike! I do love a good waffle. I guess I’m an unoriginal purist – I like maple syrup. But only the real kind, preferably from Vermont – none of that fake Aunt Jemima/Mrs. Butterworth stuff. Option B for toppings, coming in at a close second, is blueberry yogurt. No worries. We serve Grade A maple syrup here. I’d love to start things off by asking you about the lovely Punxsutawney Phyllis, who has taken the world by storm. Literally. How on earth does one arrange a world tour for a groundhog? And everyone was so incredibly nice about going along with my harebrained scheme, especially because we had to get it together and pull it off in about two weeks time with no notice! Why two weeks? It was two weeks before April Fools’ Day? Uh, yep! That would be why. I am known for my harebrained schemes, and harebrained, by definition, includes last minute. I was afraid no one would want to do it, so I offered a free picture book manuscript critique for up to 10 people if they signed up. I think around 40 ended up doing it, most of them just for fun. I gathered addresses, printed out sheets of mailing labels and notes of instructions, and ended up sending four copies of the book out to various places. Two went through the U.S. and Canada; one went to Australia, New Zealand, and South Korea; and one went to the UK. Many other people joined in by using their own copy or getting one from the library. It was tons of fun! If you want to see some of the highlights and links to the posts you can look here. Your book, Can’t Sleep Without Sheep makes a compelling argument on behalf of counting sheep – and only sheep. But, come on, sheep need vacations, too. Which animal would be a decent, if not entirely perfect, sheep understudy? Hm… That is a tough question since, as you know, I am very partial to sheep. They line up nicely, jump calmly, and are fluffy and peaceful and perfect. But if not sheep, oh perfect wooly sleepy-time critters that they are, I guess I’d have to go with slow lorises. Or is it slow lorae? Whatever the plural of slow loris is. They are furry and cute (much cuter than sloths! ), and move in slow motion, so graceful and athletic. They make me want to be good at yoga. Which I am not, because I am way too impatient. Somebody has insomnia? The sheep are on a coffee break? Jeepers! Here’s my big chance! On your blog you mentioned how Sarah Dessen described her writing process as a “crazy train.” How would you describe your own process? I think the reason I quoted that line was because I related to it so intimately. My writing process is very akin to a crazy train. I get bits and pieces of ideas from all over the place that sometimes seem to take forever to gel into anything usable. On rare occasions, when the writing is flowing, I can barrel along at 100 mph and nothing can cause me to veer from my course. On the majority of days, when the writing is not flowing, I feel like I’m on a local train that stops and interrupts the trip every two minutes. But since Sarah already used the crazy train, I’ll go with runaway horse – that works too – an uncontrollable, wild ride that is sometimes scary but always fun. One thing I really like about your blog is the way your department “Oh, Susanna” helps writers to navigate the publishing process. If you weren’t Susanna, what “Oh, Susanna” question would you ask yourself? I actually think I may have tried to cover this as Oh Susanna, but I would love to know how to fit 72 hours of work into one afternoon. Seriously, I never seem to have enough time for all the things I want to do. I think I need a personal assistant to manage my time for me since I clearly don’t do it well myself. Possibly the PA would need an electric cattle prod to keep me on track. Or maybe a donut on a stick. You are the founder of “Perfect Picture Book Friday.” Do you have an imperfect picture book that is a perfect fit for you personally? I’m going to smoothly avoid this question, Mike, by saying that by definition any book that fits me personally is a book I love and is perfect for me. I only review books I love because I know how hard they are to write. I don’t like to be critical when I know someone poured his/her heart and soul into the story. A book that I consider imperfect may still appeal to many people, and I’m not about to throw anyone under the bus for writing an imperfect book. That said, I love funny books (like Z Is For Moose) and sweet books (like All The Places To Love) and older titles I grew up with (like Mike Mulligan And His Steam Shovel, Make Way For Ducklings, Blueberries For Sal, and The Story Of Ferdinand and I’ll just stop because I could go on for a while. I hear that you are known as The Black Thumb of Poughquag. Please describe your most vicious flora murder. Okay. I’ll tell you. But this is not a story for the faint of heart, and definitely not for children, so anyone with delicate sensibilities should not subject themselves to this horror! When my kids were little, there was a fourth grade science teacher who felt that everyone should be doing his or her part to help the plight of the American chestnut tree. Her plan was, have the kids plant their trees in little pots and then send them home to mom. What was she thinking? Hadn’t she heard of my reputation as The Black Thumb of Poughquag? So not once, not twice, but FIVE TIMES, home came these hopeful little baby American Chestnut Trees in their little pots. I tried so hard. I really did. But kids and dogs are much more vocal about reminding you they need water than plants are. And every single time a day would come when I happened to look in that pot and see a shriveled up brown dried out husk of dead baby American Chestnut Tree. So sad. *sniff* I’m sorry. I need a tissue. Anyway, when I got to number five, after four baby tree murders, I thought, this time I’ll plant it outside where at least it will have a chance of rain. Maybe it can survive better on its own. Alas, it wasn’t to be. Whatever the reason was for the American Chestnut Tree’s struggles, apparently planting them outside at a tender age was not the answer. So I was not at all helpful in the plight of the American Chestnut Tree. May they rest in peace. That was going to be my last question but I really don’t want to end things on such a somber note. So! What kind of donut did you eat on National Donut Day? Well, Mike, it wasn’t an exciting one. On National Donut Day I had a plain old ordinary glazed donut, which is my second favorite kind. My first favorite kind are those fresh cider donuts with the cinnamon sugar on them, but those are hard to come by in June. Thanks for stopping by Susanna! Thank you so very much for having me over. I am honored to be a guest here. I always look forward to your posts and enjoy them so much! Oh, you! Here. Have another waffle for the road. Next postA Blog Break? Really? Dang. It’s easy to make an awesome interview when you have an awesome interviewee! Thanks for this great interview! Susanna is a wonderful, generous person who I really admire. Love the interview! And hope you saved some real syrup for the rest of us! I’ve learned my lesson; from now on I’m buying my syrup in bulk. I’m glad you enjoyed the interview and the heartrending demise of the poor baby chestnut trees, Julie 🙂 Thanks much for your very kind words! Thanks so much, Julie! As a fellow who kills off his lawn each and every year, I needed to hear Susanna’s story, too. 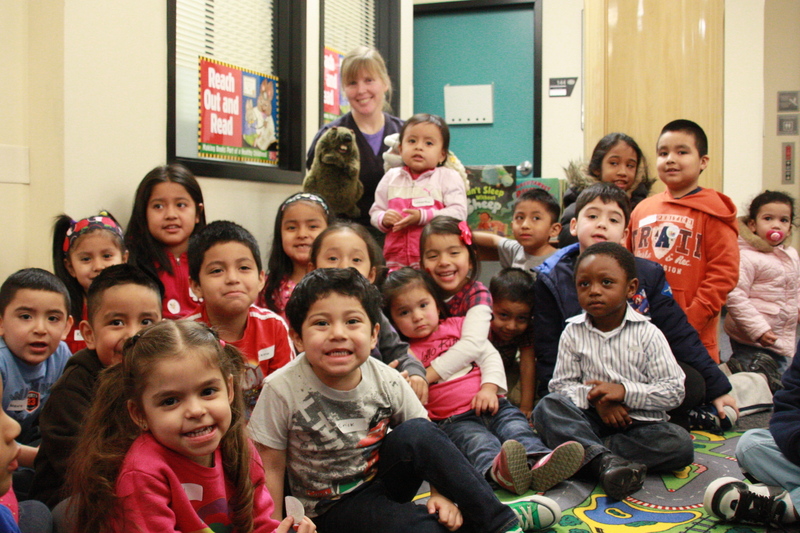 And, of course, you’re right; Susanna has done so much for the PB community that she deserves a medal. Many thanks, Susan! Glad you liked it! Delightful to share virtual waffles with a stalwart supporter, enabler and cheerleader for the picture book community! I gotta ask. What’s an ECP? Electric cattle prod. Referenced on occasion in Facebook debauchery urging writers to complete PB drafts. Why Cathy, your description of cattle prod usage has finally broken me out of the summer writing slump. I feel thoroughly threatened to keep rear in seat! Great interview Susanna and Mike! A very very wise move, Mrs. P. You won’t be disappointed. Great interview. Food. Picture Books. Killing of plants …. (I’m trying not to do that while a neighbor is out of town) and donuts. This is my kinda conversation! Everyone in my neighborhood knows they can call on me any time to take care of their dogs, but when it comes to watering their plants they’d better ask someone else! 🙂 Thanks for coming over for waffles, Stacy! We aim to please around these parts, Stacy! Ahem. You make your own maple syrup and you didn’t bring a little sample for the host? For SHAME! Oh, well, then I shall take back my “for SHAME.” Do forgive me. Oh goody…just love raspberry jam…also apricot preserves. :) Maybe I’ll do a blog post on the table and chair fiasco! I’m a raspberry jam person, too. Sees or no seeds? Funny, funny, funny! One of the best interviews I’ve read. And so perfect for Sunday morning (oh is it already afternoon? ugh) when I can’t keep a coherent thought in my head. Thanks, both of you! I thank you so very much for your kind words, Teresa! But, as I said earlier, an interview can only be as good as the interviewee. And fear not, my friend, we don’t need coherent thoughts here — just happy commenters! So much fun! I am sorry to hear about the baby trees that you MURDERED, Susanna. Don’t do that anymore. As organized as you seem, I am thrilled to know that your writing is like a runaway horse. That is reassuring. Hey, Susanna! I love your crazy train writing analogy. I can SO relate! Thanks, Mike, for this engaging and informative interview of the oh-so-talented Susanna! Trust me, Elizabeth. It was a pleasure. What a great interview. Sounds like both of you were having a lot of fun! I do try to keep things fun around here. Stick around and I’ll prove it. Would you care for a scone? I’d offer you a waffle but SOMEBODY used up all my syrup. I’m partial to Awful Waffles myself, but I must say this was a delicious interview! Awful Waffles. A band? A bar? Something else? As a fellow plant killer, I love this line: “kids and dogs are much more vocal about reminding you they need water than plants are.” Ain’t that the truth? Fabulous interview! I was thinking at first that I didn’t know Susanna from the blogging world, but then when I saw her avatar in comments I recognised it straight away! So now that’s making me worry that I DID do the wrong thing changing my avatar picture! (Reassure me Mike, please). 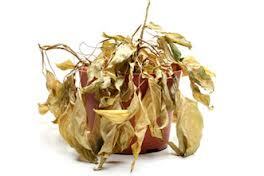 I too am a plant killer Susanna, I kid you not, I once bought some dried flowers and they wilted! I know that sounds like a joke but it’s true! I love sheep too. Also, Mike, only just got why you chose waffles as the interview food item! If your blogging friends can’t recognize you from your name and/or avatar, then they were weren’t your blogging friends in the first place, now were they? Besides, your new pic better captures your personality as well as the playful tone of your blog. So you’re good. You’ve got me curious; why do you think I selected waffles as my interview food item? Oh, because of the verb ‘to waffle’, with waffle meaning ‘pointless talk’, not that I’m suggesting your interviews are pointless! But I assumed that’s why you chose waffles as a kind of joke about you and whoever you are interviewing waffling on. But I tend to think that whilst ‘waffling’ means rambling on and on, it’s a kind of endearing term for rambling on pointlessly, not an insulting one, you know when people just talk on and on about nothing much rather like I’m doing now? And just to stress again, I’m not suggesting that your interviews involve either you or the interviewee talking on and on pointlessly, I was just suggesting that you chose that reference for these posts as a joke! Oh, get out of that hole, Vanessa. You overthought things, I’m afraid. Many moons ago when I wrote up my Gravitar tagline, I included a silly little aside about waffles. Once I decided to start an interview series, I thought it would be fun to carry on the waffle-centric idea. Oh, and I also love alliteration. So “Waffles With Writers” makes me happy. I also like how the acronym is WWW, suggesting that this is a web series. Hm. Perhaps now I am overthinking things. Mike certainly is, I’m due to interview him later in the year too! As someone else who has also unwittingly killed many botanical items, I salute and sympathize with you, Susanna. 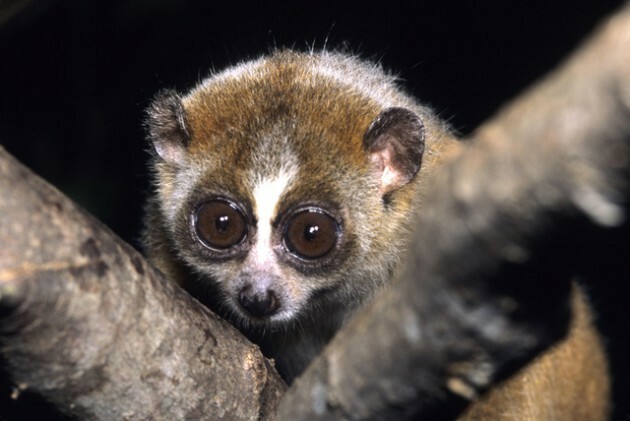 Also, SLOW LORIS!!!! I love those little things, they’re so freaking cute. Who WOULDN’T want to count those?? I would totally count them. Except that I don’t think they move very fast. But still faster than sloths, it would get really boring to count sloths. I too do the crazy train thing. It’s not pretty. And I’m not a maple syrup fan, but aside from that, Susanna, you’re my kinda gal. I’m so happy! Who knew that there was a Black Thumb support group right here in the writing community! You are about the 3rd person to admit that you too struggle with this and I am not alone! 🙂 I love slow lorises. I got to touch one once! So. No maple syrup. What’s your poison? I must admit, I’m a proud member of Team Sloth. But Lorae (?) certainly have their charms. Personally, though, I would prefer to count guinea pigs. Great interview, especially learning about what question you’d ask yourself and reflecting about Phyllis’s travels around the world! Thanks, Susanna & Mike! You guys should follow each other’s blogs (if you don’t already). I’ll check when I get home. Maybe I’ve clicked the follow, but I’m just using my phone right now, and I don’t know how to use the WordPress phone app very well. Huzzah! I’m a blog follow matchmaker! No Sword Fighting in the House is one of my youngest daughter’s repeat favorites! I have a roller coaster instead of a crazy train . . .
Mine’s a tortoise wearing a temperamental jet pack. Oh, Sarah! Thank you so much for telling me that – you made my day! And a roller coaster is another very apt analogy! Enjoyed the interview…even if all the waffles were gone except this odd little on. No, this really was a fun read. Many thanks, Cathy! Glad to have you visit! Don’t be a stranger, now. Nice to become ‘friends’ with Susanna through your interview. And, um, I voted – how wonderful that she placed all the nominated stories on her blog. Impressive stories, impressive blog. Yep. Susanna is a generous soul. And, yay! Thanks for voting! Great interview, Mike and Susanna! So enjoyable and filled with syrupy goodness and interesting tidbits! And, Susanna, I hope you know how grateful I am for your incredibly information blog! It’s the best!!!!! It has been a long time since there’s been a contest around these parts. Let me give it a little thought. Great interview! Susanna is the best! Really fun interview! Thanks so much for sharing! Another maple syrup purist! I knew you were good people, Christy.